So if your state is inclined toward narrow-mindedness and bigotry, this President is okay with that. You can vote for him and still discriminate against your fellow citizens for their sexual orientation. He personally feels you should not be a simple-minded, ignorant galoot, but this is America, and you absolutely have that right. Oddly, he does not feel the same way about education. His signature program, Race to the Top, dangles dollars in front of cash-starved states and offers them money only if they agree to baseless nonsensical mandates favored by the likes of Bill Gates, Eli Broad, the Walmart Family, and Michelle Rhee. I should not be surprised. In a debate with Maverick Johny McCain, Obama called Rhee a "wonderful new superintendent." I figured he would learn on the job and went and voted for him anyway. Of course now, after having watched him give GW Bush a third term in education, I won't be making that mistake again. I can no longer vote for people simply because they call themselves Democrats. Our unions have made the egregious error of endorsing him while extracting nothing in return. The rationale, that Romney is even worse, resonates somewhat with me. I shudder to think of a Supreme Court that will once again take the election from the people, as it did with Bush v. Gore. And I do like Obama's health care program better than what we had before. But one of his promises was to get us out of these wars, and that's not done. Another was to repeal the Bush tax cuts. A very significant broken promise was to pass the Employee Free Choice Act. He not only failed to pass it, but as far as I can tell, never even advocated for it. Most importantly, he reneged on a promise to the NEA to do things "with you, not to you." My state now faces an evaluation system seemingly designed to randomly pick off working teachers based on junk science, another outrage supported by our unions for reasons utterly unfathomable to me. Obama sends his kids to a school with small classes and little high-stakes testing. 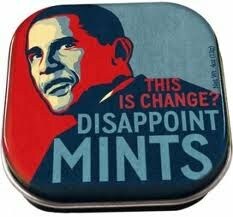 He paid lip service to overtesting at SOTU but his policies belie his words. At this rate, his legacy will be the degradation and destruction of one of the best and most important jobs in the country, a job I love and would like to urge my students to follow. I simply can't and won't vote for that. I'm thinking very seriously about Dr. Jill Stein. I realize her chances are not very good, but I no longer care.